So we are planning to celebrate 15th August 2012 in a different way. Or rather we shall be celebrating all the way till our Independence day. This coming saturday we are organising a photography auction ( our first) in Gurgaon and have collaborated with Boond for the event. There will be a fundraising event, photography auction and lot of nice folks. 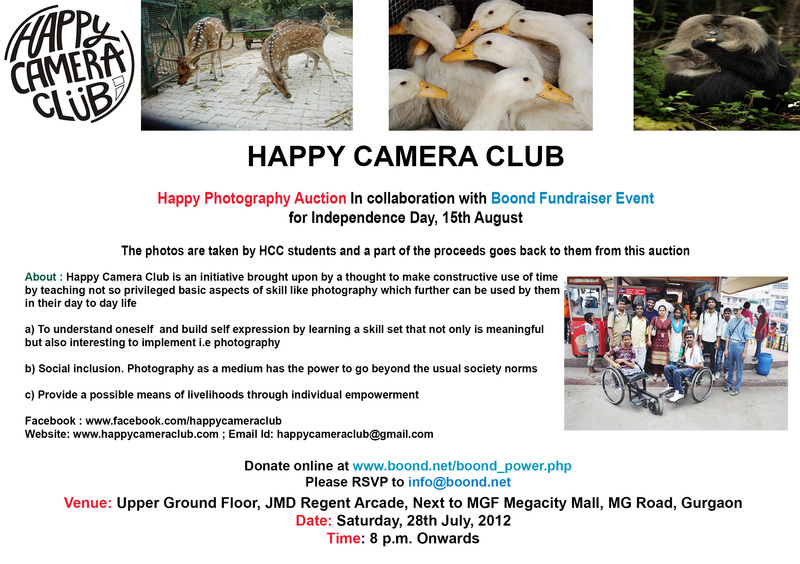 This entry was posted in Events and Screenings, Friends of HCC and other photography projects, News and latest updates and tagged boond, fundraising event, photography auction, workshops for differently abled. Bookmark the permalink.